The Japanese automobile major Toyota has been making a lot of news lately with the announcements of its proposed launch of new vehicles in the automobile market of India. It has also been in the news for its announcements of using more detailed innovative techniques in the manufacturing of its vehicles. Although the prime reason for this has been something completely different in addition to the heavy duty growth of the Toyota Kirloskar Motor by 49 per cent in the previous month of April this year. The immediate reason for it to come up in the news recently is its entry in the Electric Vehicle Symposium that will be held in Los Angeles on the 7th May 2012. Toyota will participate in this colloquium with its brand new Toyota RAV4 Electric Vehicle. This is the 26th year of the International Electric Vehicle Symposium that would display a major number of formidable electric vehicles but undoubtedly the Toyota RAV4 Electric Vehicle will have a special place among the hearts of the visitors. Toyota will be addressing to a news conference on the 7th May 2012, Monday at 12am in the West Hall of the LA Convention Centre. This $100 million joint venture of the Toyota and Tesla creation, Toyota Electric SUV RAV4 will be launched officially during the event. Since Toyota is completely responsible for the RAV4 EV, the production of this electric SUV is being done at the Toyota’s Ontario based plant in Canada. Tesla, on the other hand is responsible for the supply of battery, gearbox, power electronics and motor for the electric SUV RAV4 EV. The foundation of the Toyota RAV4 Electric Vehicle is the RAV4 chassis that is built by the Toyota. 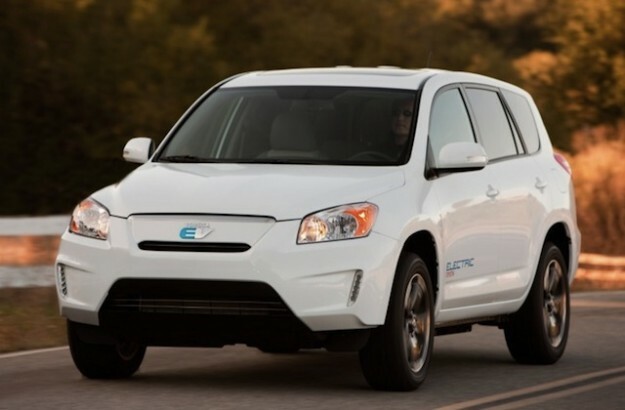 It is also important to mention here that the RAV4 EV is definitely the electric version of the RAV4 SUV with only one major difference among them, which is of drivetrain. In the conventional RAV4 SUV the drivetrain was powere3d by gasoline while in the RAV4 EV SUV the drivetrain is powered by the electric drive train that has some major parts being supplied by the joint venture partner Tesla Motors. If this electric version of the existing gasoline RAV4 SUV performs better or even equal then it will revolutionise the automobile market of SUV for sure. Although being an electric vehicle, that too an SUV model, we should expect it to be expensive in comparison to its gasoline model but non-the-less on a long run, it will be cheaper that the gasoline version for it will run on electricity. With the increasing price of conventional fuel at an international level the demand of vehicles run on unconventional fuel source has increased manifold, for they are not only low on cost but also gives close to or an absolute ‘zero’ emission. 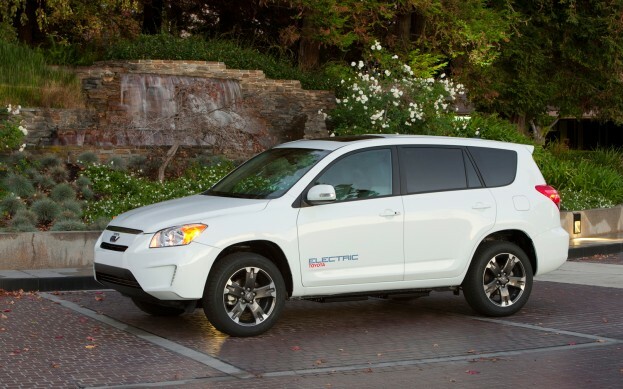 More details of the RAV4 EV SUV will be out in the Electric Vehicle Symposium while the official availability at the dealership is expected by July 2012.